BELMONT, N.C. (WTVD) -- Howard Smith III won $10 million from the NC Education Lottery. The Gaston Co. restaurant owner said he's going to use the winnings to make sure his children can have big dreams for the future. "When my five-year-old found out I won, he asked if I would buy him a Ferrari," Smith said with a laugh. "I'll buy him a toy one and get him something better. I plan to set up a trust fund for each of my three children to make sure they're taken care of." The restaurant owner's good luck happened Tuesday while he was running errands. "I had two Extreme Millions tickets that I needed to cash in sitting on my dresser," Smith explained. "They had been there for about three months, so I grabbed them and took them with me." 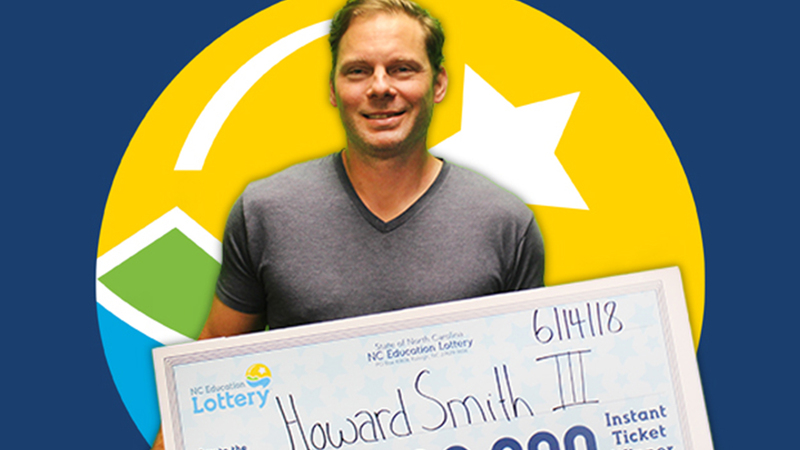 After his first errand, Smith stopped by Willis Food Store on South New Hope Road in Gastonia and used his winnings to buy a $10 ticket and another $30 Extreme Millions ticket. When he didn't win anything on the first, Smith said he threw the Extreme Millions ticket in his truck and forgot about it until several hours later. "I was a little shocked to say the least," Smith said. "I called my wife and asked her to come get me. I told her, 'I don't think I can drive right now.'" Smith had the option of a $10 million annuity that has 20 payments of $500,000 a year or a lump sum of $6 million. He chose the lump sum and, after required state and federal tax withholdings, took home $4,230,069. Extreme Millions launched in December 2016 with four $10 million prizes, and 22 $1 million prizes. One top prize and six $1 million prizes remain to be claimed. Players can also enter their tickets for a chance to win $1 million in two more Extreme Millions second-chance drawings.